 We the Students of Morgan Academy, in order to form a more perfect school, establish justice, insure scholastic tranquility, promote outstanding achievements, and secure the blessings of education to ourselves and our teachers, do ordain and establish this Constitution for Morgan Academy. Morgan Academy students believe that the way we treat others is, without doubt, our most important responsibility. Morgan Academy students have the right to feel safe at all times. All students have the right of protection from any bullying of any kind. We will show respect to our fellow students’ personal space. We will keep our hands to ourselves. We only touch each other in the act of shaking hands or hugging. If a student does not wish to be hugged or touched, he or she must simply express his or her feelings. We will honor his or her wishes. We shall use indoor manners and voices at all times when we are indoors. We will make everyone feel wanted and included. We use only kind words to prevent harsh feelings. Negative peer pressure is unacceptable. We will show respect and patience while others are engaged in conversation. We shall respect everyone’s personal property at all times. This means leaving other people’s belongings alone, unless we ask permission first. We treat all students, teachers, visitors, and those we visit with respect and kindness. We strive to be students of great integrity; therefore, any and all cheating and copying of assignments and tests is banned. The students of Morgan Academy believe in working hard and playing hard. We include everyone—regardless of age, gender, grade level, race, religion, or political beliefs and affiliations—in all games and activities at Morgan Academy. Spiking during Four Square is prohibited and takes the fun out of the game. Tackling during Jack Pot is dangerous and unacceptable. Be aware of your surroundings and others’ activities when playing games at recess. We respect the boundaries of organized games and sports. During indoor recess, the library is a quiet place reserved for reading, drawing, knitting, or relaxing. We keep all classroom doors open at all times. We use indoor voices during indoor recess. We exercise respect for our school building and grounds, and all other places that we visit for field trips or enrichment activities. We will execute our assigned jobs properly and thoroughly. We will use cleaning tools and supplies properly and safely. Upon completion of classes and activities, we will put our belongings in our cubbies or lockers, and we will clean the room we are vacating.